What he is hoping for! 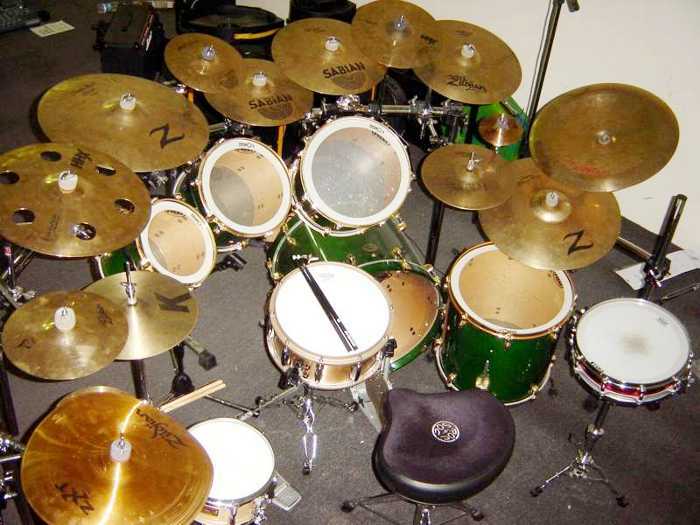 I finally gave up on the ebay 'seller' of the drum kit and I bought a secondhand kit locally. No.1 son has no idea that there is a drum kit sitting in his bedroom awaiting his return from school. He believes he will get a kit at the end of the month. I can make a few sacrifices...beer,CD's,food...I can live on lentils, pulses and vegetables. I'll tell him he has to eat the same and enjoy the look on his face.Mind you, he'll be on packed lunches for a month! I have another bloody bite on my leg from some winged beastie and the infection has started to go now without resorting to antibiotics. Something similar happened two years ago and the GP treated me for an infection. After a few days and my left leg looking like a prop from 'Casualty', I had to go to A&E where it was decided I had DVT. Cue several injections to thin my blood and treatment over a bank holiday weekend. The consultant finally saw me and announced it was an infection and shoved me on a second lot of stronger antibiotics. It frightened the life out of me at the time and still makes me cold to think about it. All of that from an insect bite, possibly a horsefly. That time I was at a BBQ in a friends garden near a pond and wearing shorts. This time, I was dressed for work and some beastie bit me on my left ankle. Although the infection has lessened there is a hole in my ankle and a huge purple bruise surrounding it. Maybe I need to eat more garlic and spray myself with lemon oil to keep the buggers away. Any sensible suggestions are welcome. Quiz tonight but for me the excitement centres on tomorrow and a new beer brewed by Fugelstou. It is Hewitts ale which, apart from a one off brew a couple of years ago, was last brewed by Hewitts in Grimsby in 1968. The Tap and Spile has one barrel in tomorrow and I'll be there after work to try it. I will have to be quick because the local Camra will be there or at the 'No.2' pub in Cleethorpes and it will go quickly. I have some reservations about the local Camra branch because they appear to favour a couple of local pubs at the expense of others which do more than meet the high standards expected by Camra. I guess I'll have to get off my arse and attend the local branch meetings if I am going to express an opinion or find out if my perception is true or not. I have to remember it is a broad church and all members are not necessarily like the loony fundamentalist who put me off the last time I attended.I'll have to look at the work rota and request Monday evenings off to attend. I'm off to put more TCP on the wound and get myself a cuppa. ...and there's the excuse I was looking for!!! "Oh! I do like to be..."